St Brigids Easter GAA Camp for 5 to 13 year old boys and girls takes place from March 26th to 29th from 10am-2pm daily. Lots of fun and activity for all. No Nursery on 31st March. Nursery resumes on 7th from 9.30 to 11.00, all 4 to 7 year olds are welcome. Thank you to our great Lotto Committee for all their fundraising for the club. There was no winner of the Lotto Jackpot in last week’s draw, the next draw is in Russell Park on the 29th March. The Jackpot will be €2,800. Make sure to have your envelopes entered into the draw, you can also buy online via our website. Club membership fees are now due – they can be paid online from our website. 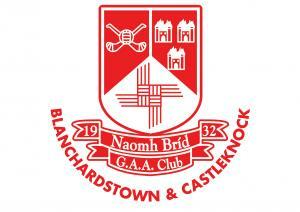 All players need to have paid or commenced payment of their club membership by 31st March. Month’s mind mass for Patsy Phelan will take place in Corduff on Easter Sunday at 11.30. AFL10 play on Monday evening in Russell Park. Well done amongst others to AFL3 on a good win at the weekend and to our U14 Ladies football representatives who played their first Intercounty match on Saturday recording a 2 point win over Kildare.